The tallest grasses growing along the Mekong Delta have been dyed and woven into bags of differing shapes and sizes under the label “Sanaye”. 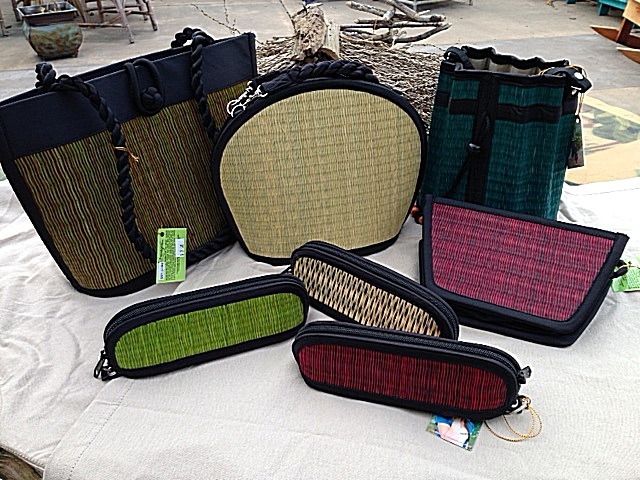 Island Home and Garden is offering a selection of small and medium shoulder bags in different shapes, and sunglass holders. There is a selection of colors to choose from and they are all fully lined with added pockets etc. Every one of the bags looks unique, and most importantly, are priced very reasonably to make excellent gifts!